Today is my sister’s wedding day… HURRAY!! In last week’s fashion post I gave you tips on how to shop for a special occasion. I was in search for the perfect outfit to wear to my sister’s wedding and you could already see some possible dresses for this special day. The dress I had in mind was a wonderful red lace dress from Diane Von Furstenberg, but unfortunately it wasn’t availabe in the Belgian stores. I could order it online the shop assistant said, but with a dress this expensive and for such a special occasion, I just didn’t feel comfortable to add it in a virtual shopping cart and wait for days to see it, feel it, try it on. Mind, I did try other dresses at the DVF store, but none of them could convince me. 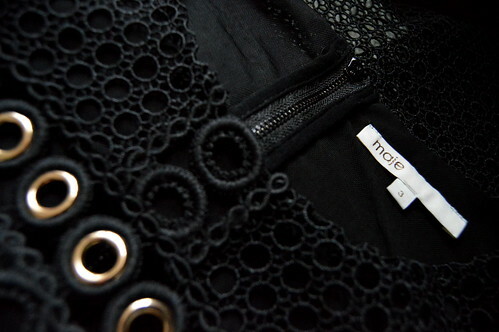 And to be honest… that all had something to do with a fabulous black dress I had tried on earlier that day… a dress I felt immediately comfortable in… a dress that was so me! I hadn’t bought it yet just then, as it had been the very first dress I tried on. And it was a bit different… would it be suitable for the wedding? But it had been stuck in my mind all day so that must mean something, mustn’t it?!?! So when the dresses at DVF weren’t exactly what I had hoped for, it became clear to me. 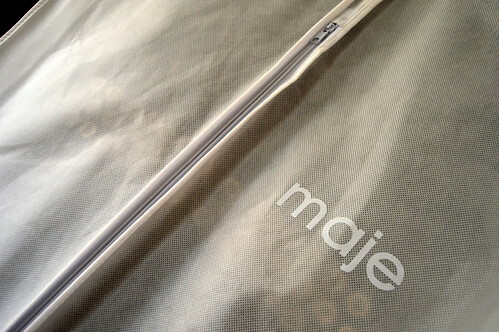 I went back to Maje, the boutique where I had tried on that fabulous black dress. I put it on once more and I was reassured… this would be my dress! 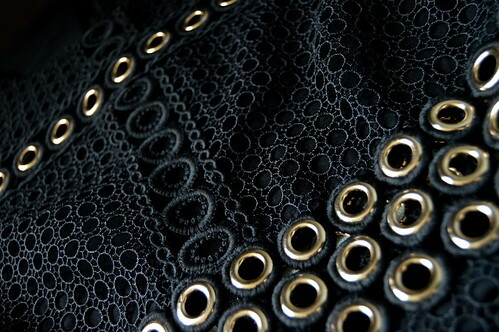 I would wear this special, black, edgy, rock-chick beauty to my sister’s wedding! I had a specific kind of shoe in mind and to avoid going from one shop to another ending up with absolutely nothing but swollen feet, I wanted to try my luck on a webshop first. Using several filters (colour, shoe category, price, size, height of the heels) I narrowed down my possibilities and I ended up ordering two pairs of shoes. A couple of days later I could try them out. 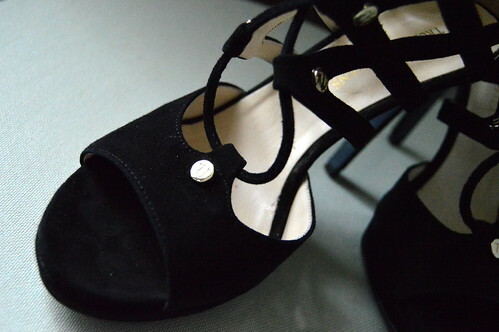 They were both very beautiful and comfortable, but one pair was too narrow for my wide feet and the other was too chunky to wear under the dress… so I returned them both. As the offer on Zalando is renewed daily, there were already other shoes that qualified. There was this particular pair from Trussardi Jeans I fell in love with immediately and so I ordered it. They are quite high but they’ve got a little platform which makes them just that bit more comfortable. And because of the shoelaces, I can adjust them to my wider feet. I also think they look marvelous with my dress. 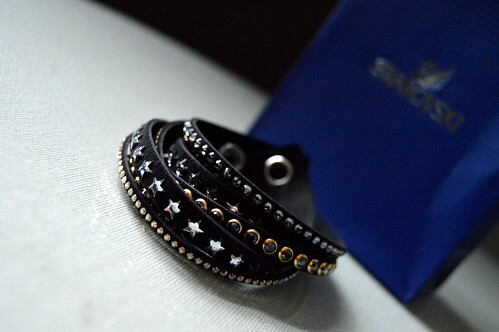 My bracelet is from Swarovski. I love the rock-chick look and it just goes perfectly with my dress. I didn’t hesitate for a second… off to the counter! 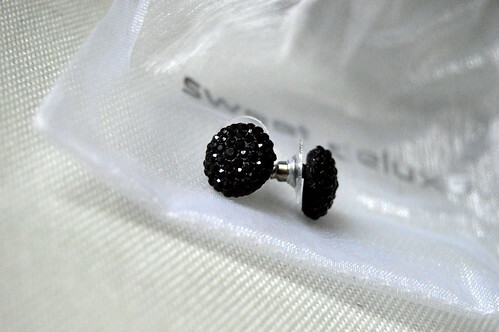 I didn’t want my earrings to be overpowering as it is quite an intense outfit and so I opted for these plain, black earrings with a slight glitter. I found them on Zalando as well. Just one more thing now… a handbag! 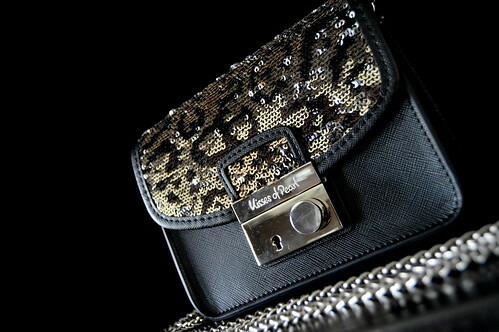 As the mini-bag is really trending, it was quite obvious that I preferred a mini-bag over a clutch. I really wanted a bag with a shoulderstrap as I will take lots of pictures that day so I want to have my hands free. I had seen so many possible contenders, but in the end I went for a mini-bag from the brand ‘Kisses of pearl’, which I bought at Torfs. Actually you buy a body, which comes in 4 different colours: black, white, silver and gold. Each body has 2 different straps: a leather one and a chain, but you can wear it without straps too. 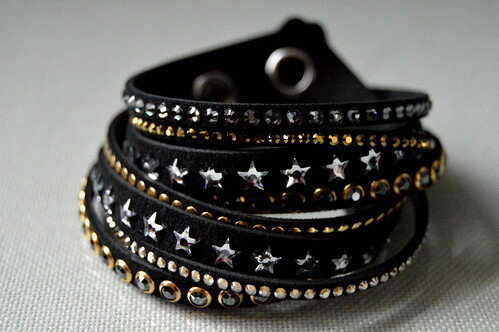 Then they offer covers in several colours and styles (plain leather, with sequins, with lace). You can click the cover on the body and that way you can mix and match all you want. 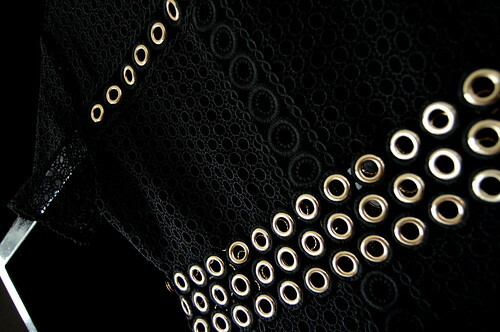 I bought the black body and 2 covers: a plain black one and a black/gold sequined one, which I will wear on the wedding. 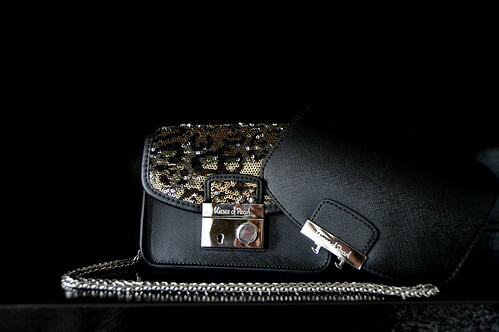 The sequined cover is clicked onto the body and the plain leather one is on the right. And that, my dearest followeres, completes my outfit. Phew, quite an ellaborate outfitpost… sorry, but I am just so over the moon with all my purchases!! What do you think of the complete outfit? Not your traditional wedding outfit I know… but I think I just look so fab! Follow me on Instagram as I will definitely post some pictures of the wedding!! This entry was posted in Fashion, Outfits, Spring and tagged Fashion, maje, Swarovski, trussardi jeans, wedding outfit. You will look fabulous, no doubt about it! Dit was ook meteen mijn favoriete jurk! Je ziet er echt super uit en hebt hem prachtig gecombineerd! Geniet van de dag! !